4 American Composers offers startling and intimate insights into the music and ideas of four very original American composers: John Cage, Philip Glass, Meredith Monk, and Robert Ashley. Incorporating performance and conversations with and about the artists, these programs create an experience that extends beyond the music alone, that explores each composer’s concepts and expresses their personalities. 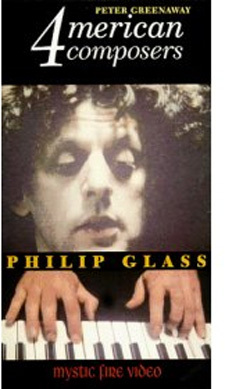 Philip Glass’s “systems music” has been described as a “high mass on Mars.” It combines the Western disciplines of the classical music tradition with Eastern influences and visceral rock. His hypnotic, rhythmic sound is appreciated by rock, jazz and classical audiences alike. This video features conversations with and about Glass, as well as the Philip Glass Ensemble performing, his Music in Similar Motion and passages from Einstein on the Beach and Glassworks.